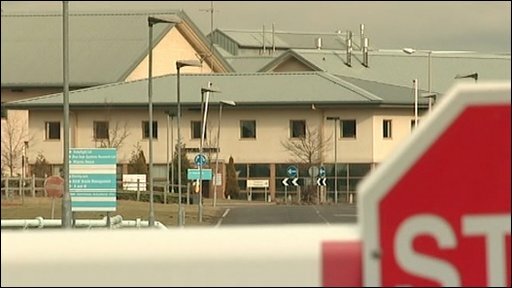 It has been five weeks since a group of about 40 women at Yarl's Wood immigration centre began a hunger strike. The Bedfordshire institution hit the headlines once again last month following the protest by the women, who were unhappy with their treatment. Some women are still striking, but are taking fluids. Now human rights lawyers have mounted a legal challenge in the High Court on behalf of some former residents. They claim that a few days into the hunger strike in early February there was a peaceful protest in the centre but it resulted in some women being locked in a corridor. Human rights lawyers describe the practice as being "kettled" and that some of the women were then subjected to physical and racial abuse. These allegations are strenuously denied by centre staff and the authorities. Lawyers acting on behalf of four women and three children say they have corroborative statements and photographic evidence, including pictures of alleged injuries to the legs and arms of 35-year-old Jamaican Denise McNeil. She has now been removed from the centre and is currently in prison. She spoke to Look East soon after the alleged incident, saying: "Since I've been here [in the UK] I have suffered a lot and I just can't think about it at times." Jim Duffy, a solicitor from Public Interest Lawyers, based in Birmingham, is acting on behalf of Ms McNeil and the others. He told the BBC: "The many many stories coming out of Yarl's Wood point to a system that is deeply flawed. 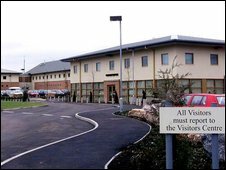 "We want to ensure that Yarl's Wood does not detain children for indefinite periods of time and that the people that are held there are treated with the requisite respect. "Our challenge challenges the system - a system of indefinite detention of some of the most vulnerable groups in our society including very young children. "It's a system that accords very little respect to the physical and emotional well being of these individuals and scant respect for their human dignity and it's a system that we say has to end." But not everyone is critical of Yarl's Wood. Petronella Mahachi, 29, from Zimbabwe was recently released on temporary admission. She believes her decision not to join the hunger strike helped progress her release. She said of the staff: "They are not in control of the immigration status of anybody, so they try and just keep you happy and they are friendly and not racist towards anybody. I would not call them racist at all." Last week, the chief executive of the UK Border Agency was questioned about the allegations during a Home Affairs select committee meeting. Lin Homer said: "We are keeping a very careful eye on this. "It's completely understandable that many of the people we remove don't want to go but I'm absolutely confident that this incident was handled with care, was watched by police and independent monitors." The government has until 15 March to provide its defence to the High Court before a hearing date is settled.